Walkie Talkie is a two way radio to communicate with people of your group without any charges. If you go for outdoor activities, work in a school, go on hiking, working on site etc, you will find that walkie talkies are great to keep in touch with each other on a trip. If you move around from one point to another within a range, you will get walkie talkie useful in this regard. Workers in pubs or clubs and at various other places find walkie talkies very effective and useful while communicating with colleagues. Walkie talkies can be clipped with shoulders to enable you using them with free hands. In order to send a message, you need to press a push to talk button. People can communicate for unlimited time with walkie talkies rental as there are no call charges and no limit of the time to talk. Walkie talkies can be used at places where there are no cellular signals. Therefore, these are quite advantageous for outdoor activities like camping, hiking, fishing etc. Walkie talkie rental offers instant communication. There is no need to dial a number and wait for the person to pick up the phone. They can be easily clipped onto belts and allow your group members to answer immediately. Walkie talkies have a speaker to easily speak to many people. It enables you to communicate with each other even in noisy environments. It can be used completely hands free. These are used at different circumstances to send messages to one another of your group. Walkie talkies are simple and easy to use. People just need to press a single button to communicate. If the distance is short, it is better to talk with walkie talkies without charges as compared to cell phones. Kids use walkie talkies to play with their friends specially those that are too young for a mobile usage. They enjoy playing different games using these devices. There are many companies that offer walkie talkies on rent and its accessories all over the world. If you want to use them for short time, walkie talkie rental is a good option. On the other hand, if you need to use them on regular basis, purchasing them is a wise decision. We offer walkie talkie rental and new walkie talkies with accessories in Malaysia. A wide variety of products are available to us. 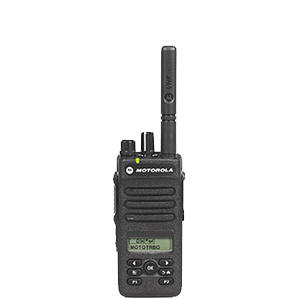 If you want to get quality walkie talkie rental, contact us today.